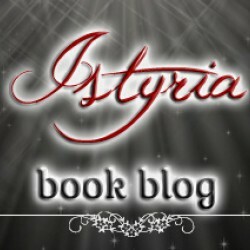 Istyria book blog - B's world of enchanted books*I received a free copy of this book from the publisher via Netgalley in exchange for an honest review! Thanks! *Oh my god I wanted to love this book so bad. When I saw the cover on Netgalley, I fell in love with it and when I read the blurb I knew I had to read the book. And I was praying that it would be awesome. And for the first time, praying and wishing has paid off because I really loved this book. 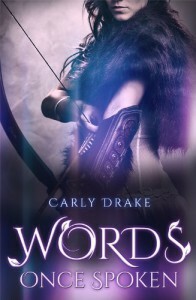 Definitely earns a spot among my favorites!Words Once Spoken is about Evelyn. She lives in England, in a time that is similar to the 16th century. Evelyn isn’t like other people. She hates being inside between four walls, dressed in heavy dresses and gushing about shoes. She’d rather go out for a ride with her horse in a tunic and breeches, armed with her bow and surrounded by nature. But soon that comes to an end. She’s forced to go to court to become one of the Princess’s ladies in waiting. That is what her mother hopes anyway. But there, at court, a journey starts that Evelyn never saw coming. She discovers where she comes from and why she never quite fit in.This is a story filled with magic. The writing takes some getting used to because it’s quite formal but it fits with the story and the time and country it takes place in. I got invested in the story fairly quick and I connected with Evelyn. There never really was a boring moment because it was all so fascinating and there is just enough action. Of course there’s more action once Evelyn finds out what she is, but still. I enjoyed going on this journey with her and it was fun to get to know most of the characters and the setting first. And by the time I got to the end, I was in there with her. And I can honestly say that I cannot wait to find out what happens next.As I said, I connected with Evelyn. She didn’t fit in in her town and never knew why, but I loved how she enjoyed those little moments of freedom when she went out with her horse in the forest. She can handle herself out there and she’s stubborn and yeah, I liked her as a main character. Also, she doesn’t like to be told what to do, especially by boys and her mother.I also liked Liam, Padriac, Niall and all the other characters. They were fun and again it wasn’t hard connecting to them even when they were supernatural creatures. The world they all live in is so well-done. A very magical place that wasn’t hard to create in my mind. And the characters were well-developed. And yes, there was romance but it wasn’t the main thing in the story. The story was about Evelyn. But for a moment I feared for a love-triangle, but luckily, I had no reason to be afraid for that. And I believed the romance. It was subtle and sweet and by the end of the book, it still had to grow a lot. So I look forward to see that in the next book too.So to sum it all up, this is a magical story with great world-building and characters that are fun to read about. Written to enchant you and pull you into the story. And I highly recommend it to fans of fantasy.